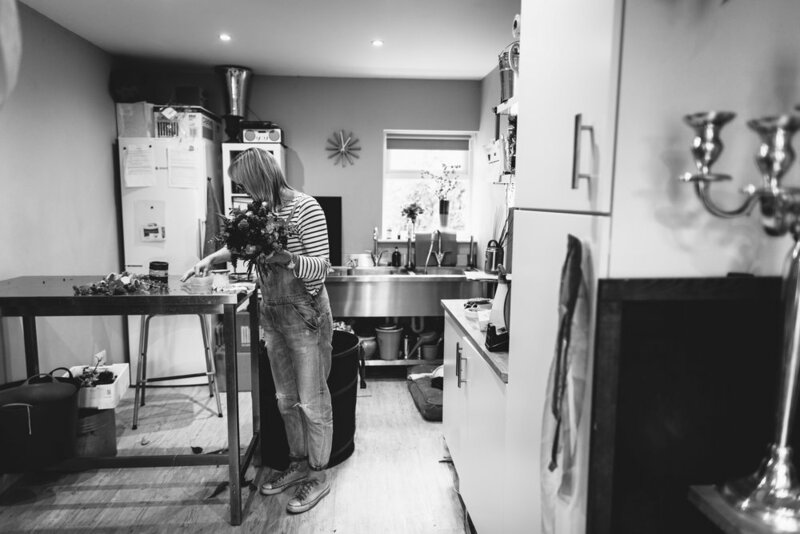 I mostly teach 1:1 and 1:2 classes from my studio in West Berkshire, these days are fitted around my busy wedding & events diary. 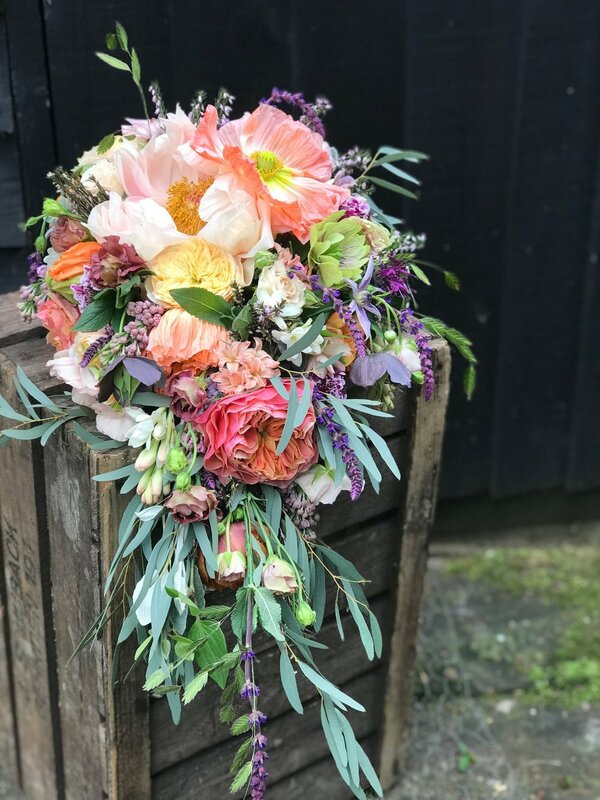 Whether you're an established florist looking to brush up or perfect a particular technique or a flower enthusiast, I tailor all classes to suit using seasonal flowers. 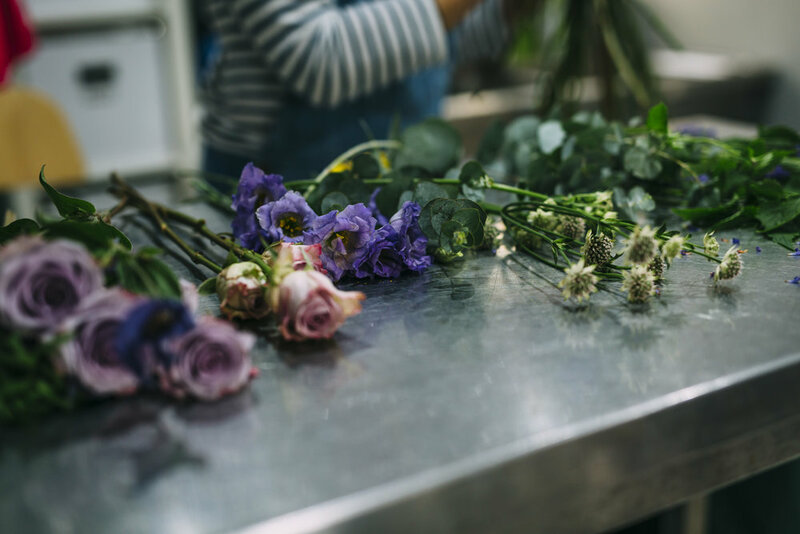 Learn how to make a beautiful seasonal arrangement with me, I shall share my thoughts on “doing flowers” and then create your own floral compote to take home. All flowers and snips included. 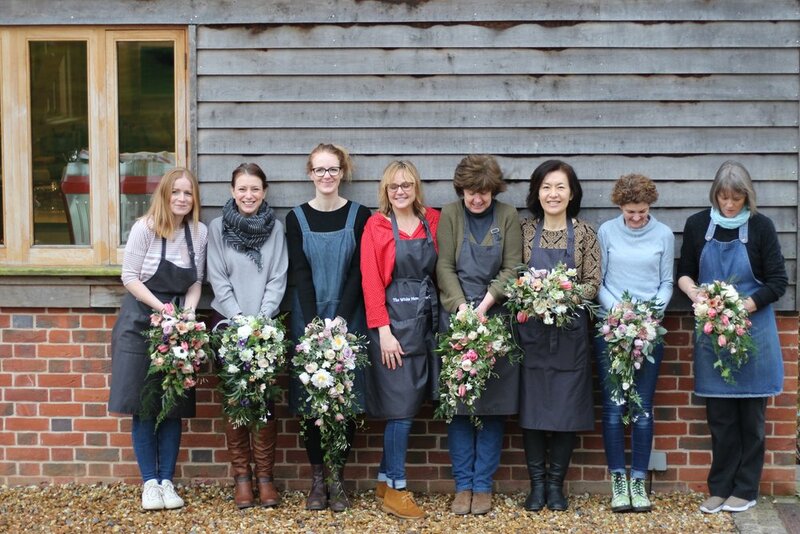 Full Day: Whether you’d like to brush up or learn a new technique, the day could have several parts such as wiring and hand tied bouquets, making wreaths and garlanding, funeral tributes or how to build your business. Attendees can also book multiple days and stay at local Air B &B’s. Includes all flowers, equipment, refreshments and lunch. "HOW TO DO THE FLOWERS" (non professionals only). 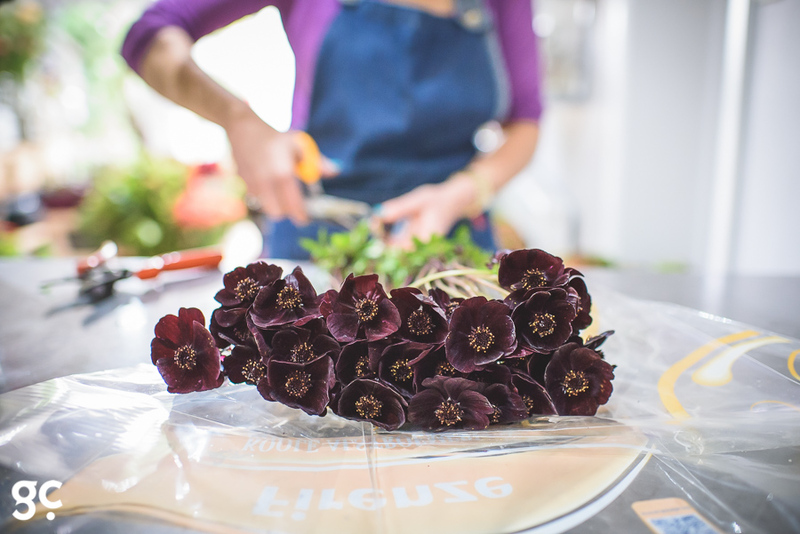 Suitable for those new to flower arranging but want to know how to do their own flowers rather than pursue a career. Come away feeling more confident with a greater appreciation and understanding of the fine art of flower arranging. Learn how to arrange in your own vases, urns, make hand tied hostess bouquets, gift wrapping or maybe even learn how to make a seasonal wreath - what ever you want. How to do your own wedding flowers. A perfect day for mothers and daughters planning a wedding. 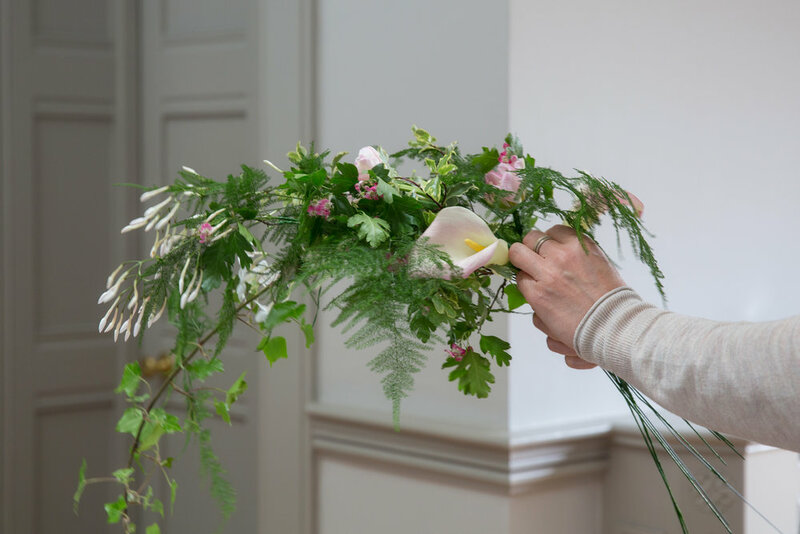 This workshop is designed to help you realistically prepare to arrange your own wedding flowers. 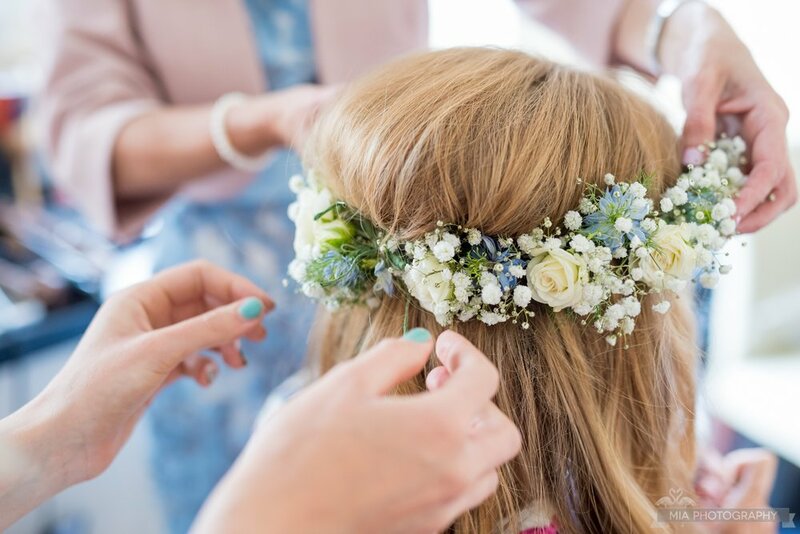 I will guide you through the flowers available at the time of your wedding, help you plan stem counts, suggest flowers and colours which will create the look you want to achieve. 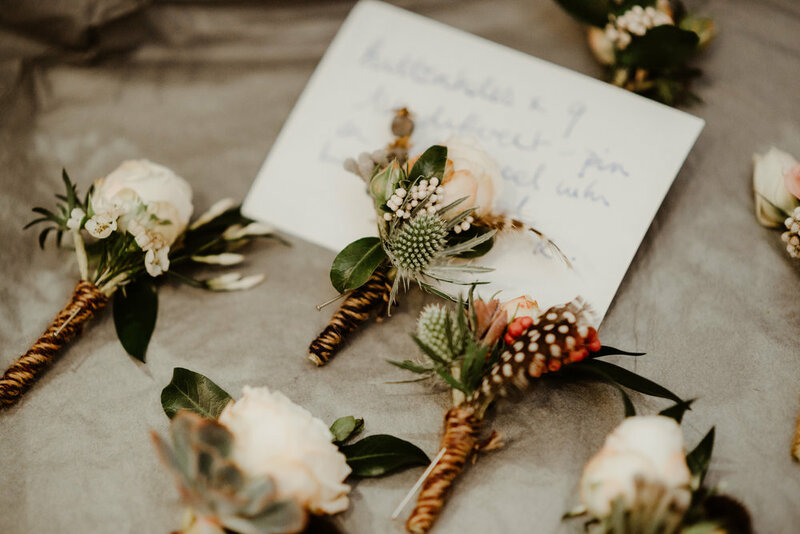 Practically, I will show you how to arrange and tie simple bouquets, make buttonholes, create simple centre pieces and guide you through what you’ll need to know to prepare your own wedding flowers with as little stress as possible! 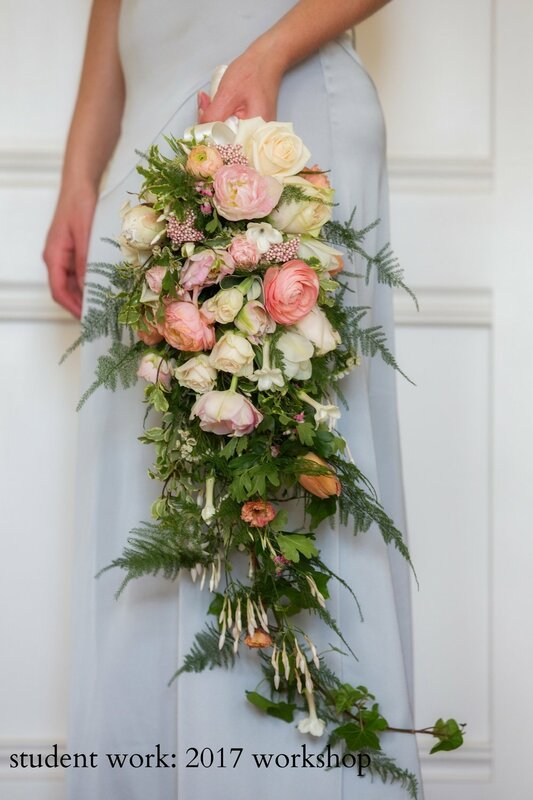 The White Horse Flower Company workshops are subject to availability, prices include VAT all classes are only confirmed with payment in full.